When someone you know has a chronic illness what do you think of? 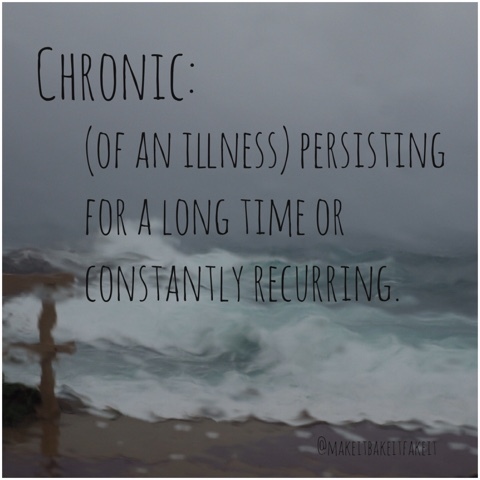 Chronic (according to my super informative google search) refers to (of an illness) persisting for a long time or constantly recurring. It goes on and on. It's chronic. It's not just a bad day here or there. It has its ups and downs of course. Some days and weeks are worse than others. But the baseline is always there. The symptoms are always there. They don't decrease, they don't disappear, you just get used to managing it, to hiding it, to smiling through the bad days. Take your imagination for a walk now, and let's visualise this...having the flu everyday of your life. Not just the sniffles, with a bit of a headache, I'm talking aching joints, nausea, splitting headaches, dizziness, unrelenting fatigue. Every single day. It's chronic. Unrelenting. One week in you spend your time in bed. Three weeks in you start to really worry. A couple of months and your life has changed completely. Curl up in a ball and escape from the world? Yes. You do that. But you are stronger than that. You want to live life. Slowly there is acceptance...but that's a whole other topic in itself. And so, slowly, you can last longer through an episode of pain. You can do a couple of things whilst the nausea battles. You can smile whilst your body is ravaged by the waves. The pain is no less. The disease is still there in its entirety. But you can cope in different ways. You can work within the confines of this chronic life. You find medications that ease symptoms. You find ways to manage this disease in your life. You develop coping mechanisms. You invent life short cuts. Your faith and hope propels you forward. You keep on living...you live the chronic life. Why? Because this is how it is. This is chronic. 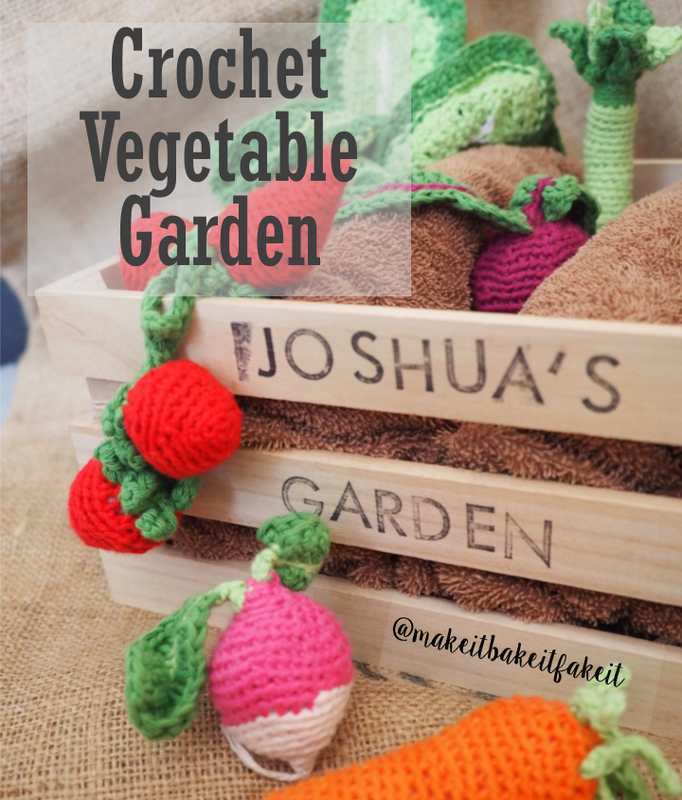 This Christmas I was inspired by an Instagram picture of a set of felt veggies in a garden crate. 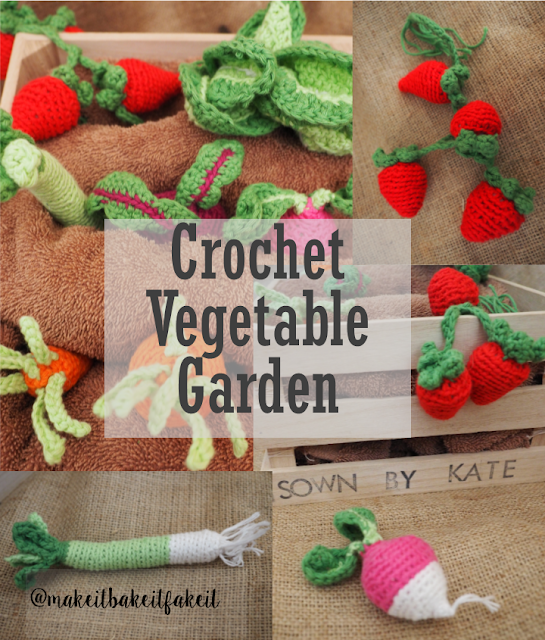 Here was born the Crochet Vegetable Garden. I had no other inspiration for my newest nephew...so here came this creation. 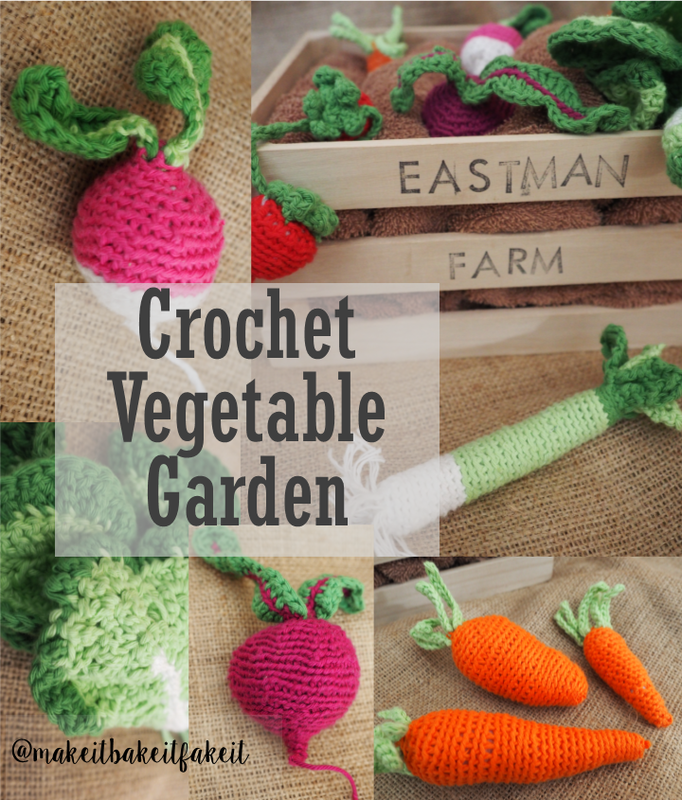 Make crochet veggies out of cotton. Pick and choose your veggies. I found these patterns helpful as a starting point. Then kind of winged it...sorry for those that like exact patterns, Google a pattern or search on Pinterest and you will find some ideas. It was fun getting into making veggies. Prior to this I had mainly mastered a granny square and variations. Once you have mastered the basics of increasing and decreasing, it is not too tricky. The leaves were the best...a whole lot of winging it! Especially the lettuce. Because really lettuce can look like anything. Once you get into the swing, I found I could do a veggie an evening. Take a wooden crate and stamp/label your crate. The teacher in me has a thing against play on language and spelling. Like there is no way I would ever send my child to a Childcare centre called Kids Korner, or other such poor attempts on the English language...if that is their starting point who knows what the quality of education would be like. Anyway, rant over. All that considered I couldn't go past my play on language with the "Sown by Kate". Take a brown towel to make the dirt garden beds, fold into 3-4 folds. Stuff under each one with some poly fill or more cloth, and sew into place. I sewed through each one to keep them in shape, and then attached to the corner. Add some glue to secure, because hey, this is a kid toy and you might want to make things kid friendly! With a saddened heart, reluctantly hand this over to the child. I so wanted to keep this for my self. Master Joshua better enjoy this over the years to come!